Jason Ford is a British Illustrator whose approach to image making has been heavy influenced by a childhood diet of Tintin and Marvel comics and a continuing love of French & Belgian 'bandes desinees'. 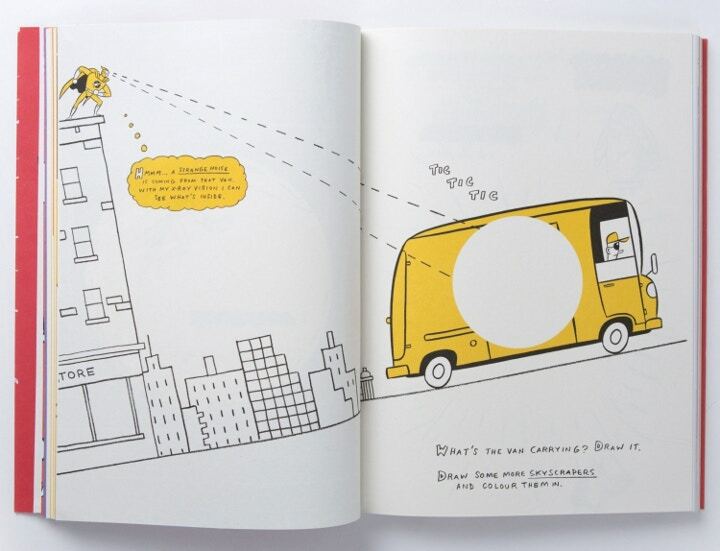 His work has been commissioned by The Royal Mail, American Airlines, The New York Times, Penguin Books and The Guardian. He lives and works in a secret HQ somewhere in the metropolis of London. If you could be one super hero who would it be? I think I'd like to be the 'Silver Surfer' (Sentinel of the Spaceways) - he was a cosmic superhero who rode through space in nothing more than a pair of silver pants on a surfboard that travelled faster than light. I can't remember what his specific powers were (probably being able to surf round the sun before lunch) but he always looked cool. How did you get into illustration to begin with? I was into drawing as a kid and read Tintin books. I loved the drawings, especially the attention to detail that went into the backgrounds that the characters inhabited, whether it be buildings, cars, ships, jungles, rockets or the moon. As a reader you felt you were being whisked off to believable foreign destinations on another escapade. Watching too many Tex Avery cartoons and reading Marvel comics only added to my fledgling ambition to want to become a 'cartoonist ' or something similar. After fumbling my way through school, I travelled the well-trodden route of heading off to Art College to be taught the ways of graphics & illustration. From that point on I knew I wanted to draw for a living and somehow get paid for it. My work was known to Angus Hyland (Laurence King Publishing's creative director) and he asked me if I'd be interested in tackling such a project. I jumped at the chance. I was being given the opportunity to take on the perfect commission on a subject that was second nature to me. I've plunged straight back into freelance work, doing a set of illustrations for a couple of international magazines. And of course, thinking of a follow up book idea to the 'Superheroes' book. What can Cass Art customers expect from the workshop this weekend at our flagship Islington store? A lot of fun and probably a lot of small people running about in their very own mask and cape, ready to do battle with any super villains that come their way. Which 3 Cass Art online products would you use to draw all over the superhero book? Absolute musts are the Pentel Color Pens set of 24, Koh-i-noor Progresso Coloured Pencils and the Staedtler Mars Lumograph Pencil Tin. Jason Ford is running free workshops at our Islington and Hampstead branches this November. 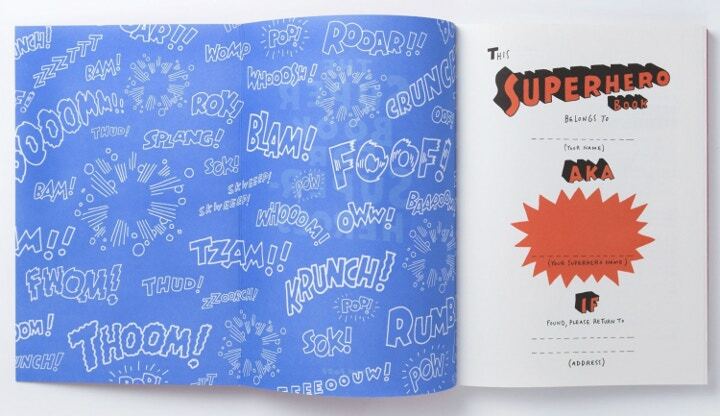 You can also purchase his book, The Super Book for Super Heroes online and in stores.